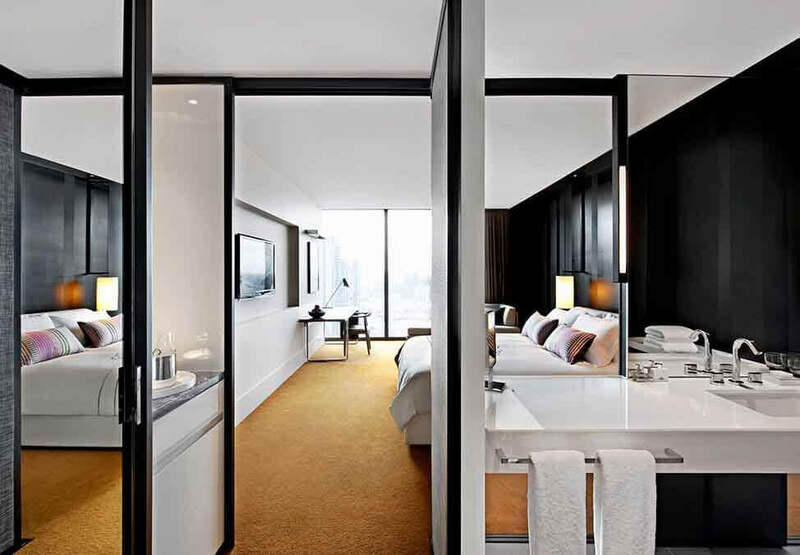 Take in the spectacular views of the Melbourne skyline and lose yourself in the luxury accommodation of the City Luxe King room. Located on levels 8 to 26, this 38-42sqm private sanctuary offers a spacious work desk and king size bed, as well as a separate bathroom with an oversized shower, large vanity and a privacy screen. City Luxe King rooms offer the added flexibility of a stylish chaise lounge, that converts into a very comfortable sleeping alternative for an additional guest.